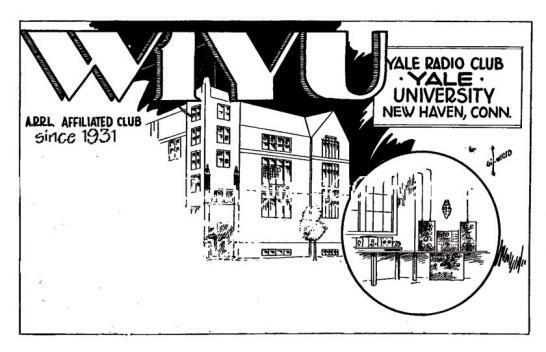 Welcome to W1YU, the amateur radio club at Yale. If you dont know what Ham radio is and would like to read about the fundamentals, Click Here. If you are already licensed, join our weekly “net” on the air. W1YU is Yale University’s callsign on amateur airwaves. Amateur radio is also known as “Ham” radio. Yale’s amateur radio league has been providing volunteer, noncommercial as well as recreational and emergency communication service to Yale University and New Haven since its eastablishment in 1931. At Yale, W1YU operates as a general club for the purposes of education and participation in traditional amateur radio activities, and is also becoming more active in a public service capacity through an affiliation with Yale’s Emergency Management Office. Members of the Yale community are welcome to join W1YU, including current faculty, staff, and students as well as emeritus faculty, retired staff and alumni. Typically, amateur radio operators assist organizations in emergency communications by providing incident communication support (for example, in the event of a large weather emergency such as a hurricane or major winter storm). In addition to this, our members are in a position to help Yale by acting as technical resources, providing equipment suggestions, and providing assistance when called upon in a catastrophic communications failure. Amateur radio operators do not interfere with official emergency radio traffic by police, fire, and medical responders, but instead relay messages on separate frequencies to supplement existing systems and to provide assistance as needed. W1YU is recognized as a club by the Amateur Radio Relay League (ARRL) and is available to participate in Connecticut Amateur Radio activities. The club’s current constitution is available, as well as an annual report for 2016-17 which includes a club history. Learn about the current officers and their duties.